14ymedio, Marcelo Hernández, Havana, February 7, 2019 — A mobile phone, and social media as an amplifier, has been a sufficiently powerful weapon to change things at a primary school in Havana. 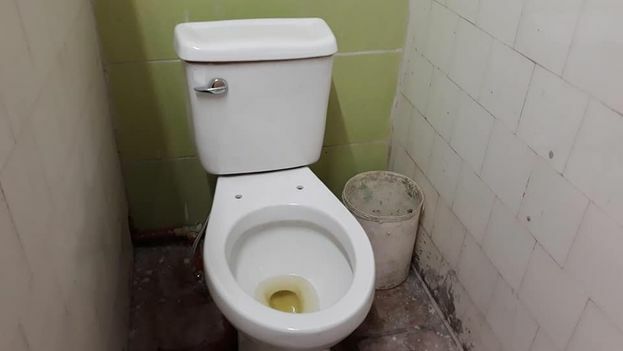 For decades, deterioration has been advancing in the bathrooms of the José Luis Arruñada school, in the municipality of Plaza of the Revolution, until this January a mother, tired of waiting, brought about a change in the situation. Almost three weeks ago, the photos taken in the bathroom of La Arruñada, as the school is popularly known, sparked a heated debate on the internet. The toilets with broken flushing mechanisms, the stalls without doors, and a plastic tank filled with water instead of a sink reflected the deplorable situation that the students had to face every day. Many of them preferred to pass the eight hours they spent at school without going to the bathroom in order to avoid the bad smells and filth. 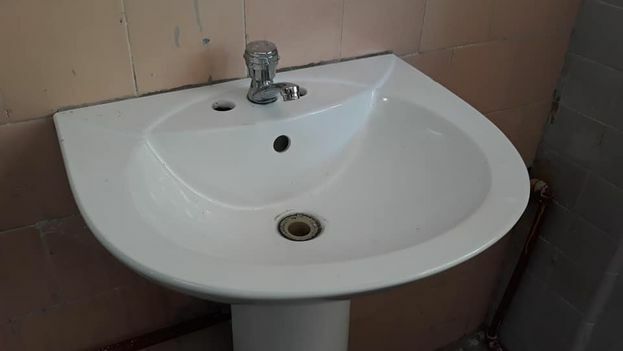 A few days after the photos were published on social media and were republished on the pages of 14ymedio, a committee from the Ministry of Education visited the school and began the process of repairing the bathrooms. Now there are sinks where water flows, each toilet can flush, and privacy has returned to each stall. The students and their parents haven’t stopped marveling. “The next thing will be to photograph the lunch they give them in the cafeteria, to see if it improves,” joked a student. Perhaps she is right.